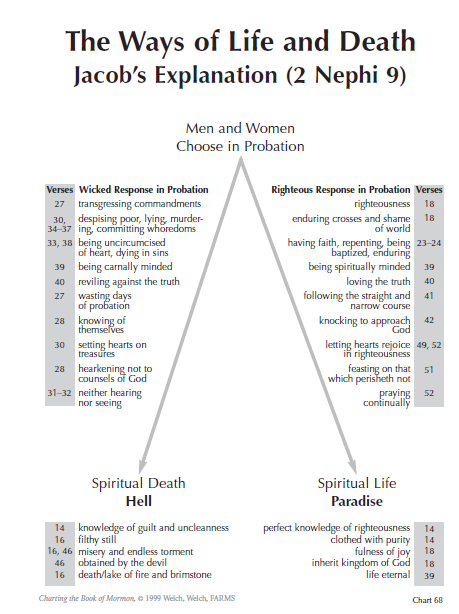 I really like this chart that visually shows how Jacob illustrates the two paths that we can choose while in mortality. 2 Nephi 9 is such a great chapter of the Book of Mormon, and this chart is a great way to “see” it in a different light. This entry was posted in Book of Mormon, Charts and tagged charts. Bookmark the permalink.